General roofing service job invoice for use in roof repairs, service calls, etc. We can design an invoice specific to your business needs. This is just one sample of a roofing service job invoice. You can upload your own file or have us create a custom design that is more relevant to your business. We'll add your logo and make other changes to this invoice at no extra charge. See Below for the different sizes and quantities. 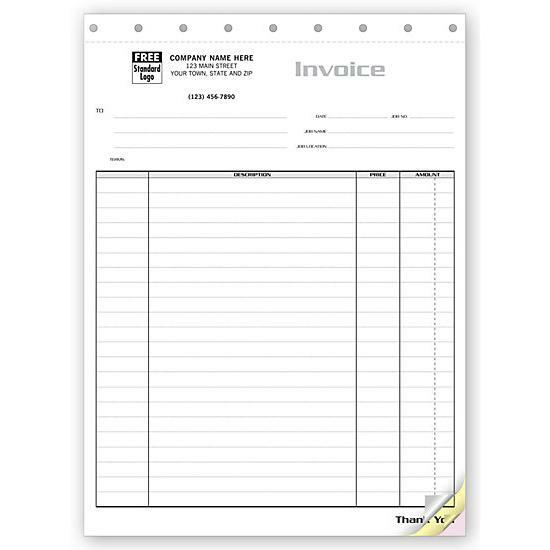 All invoices can be printed in single color or full color. 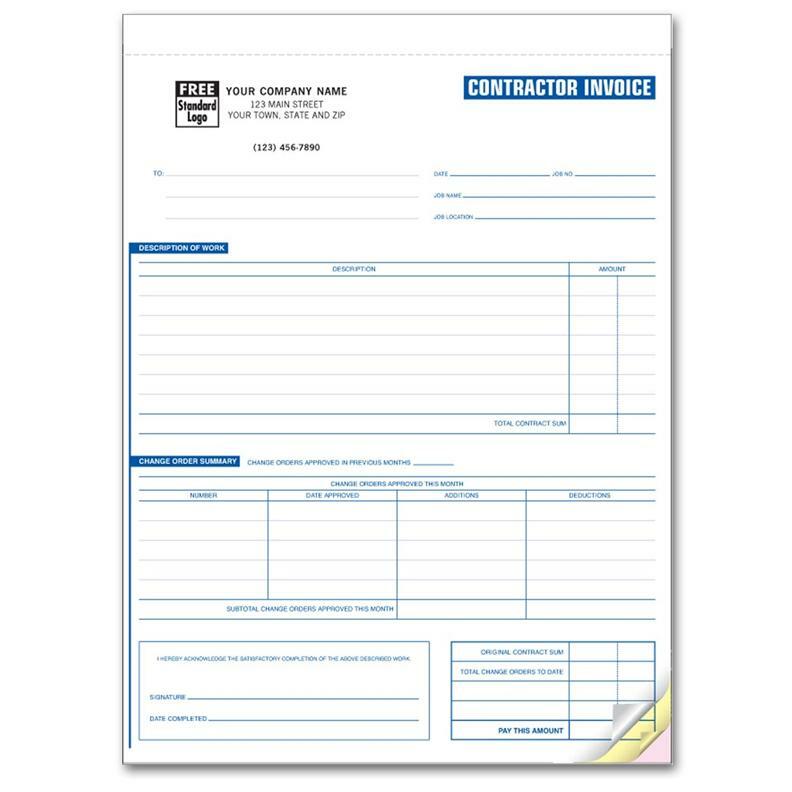 Whether you and installing a new roof or making repairs, it is important to use the right type of business form to invoice your customer. 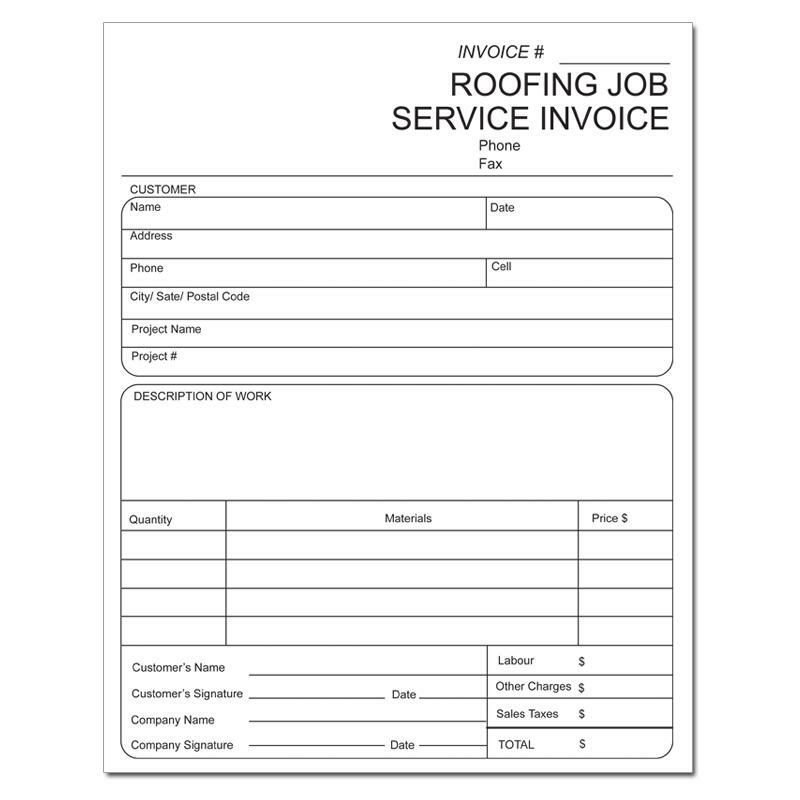 A roofing invoice form should be relevant or related, in the way it is designed, to the roofing business. You should be able to easily write in the information pertaining to the job, like the itemized material used, hours worked, the customer's contact and billing information, and more. We make it very easy to order online. 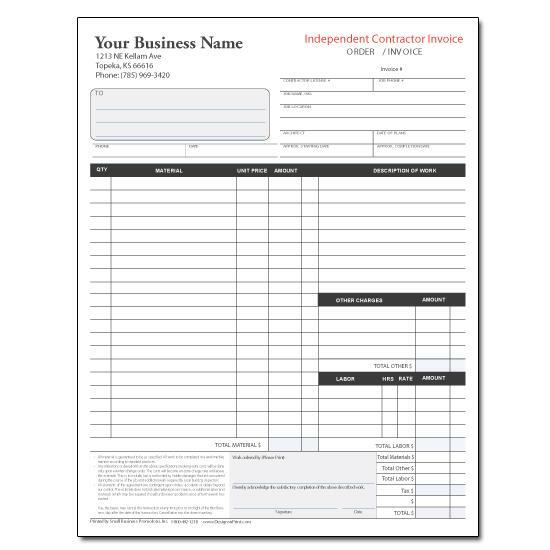 To customize or personalize the form, enter your business name, address, phone, fax, email, and website. You can also enter additional information in terms of service, a tagline or additional instructions. You can then select the number of parts, the quantity, consecutive numbering, size, and ink colors. We will send an email with a file for approval. You receive the roofing invoice in the mail and it's ready to be used on your next big roofing job. This is a manual form that can be written up by filling in the required information from the customer's address, phone number and more. Give a description of the work, list the material used, hours, and total charges. The roofing contractor and the customer signs the invoice after the job has been successfully completed. Use a roofing proposal if you want a more itemized form.